Tell Me You Need Me is a quick, hot read. Check out our #Review, along with a fun Interview with romance author Joya Ryan. 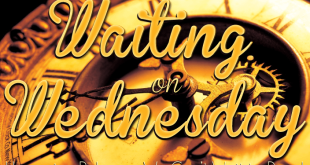 It’s time for another installment of Waiting on Wednesday, highlighting our most anticipated upcoming reads. Tempting the Bodyguard by J Lynn Anticipated Arrival Date: 5/1/2014 Add Tempting the Bodyguard to Your TBR. So let us know: What are you waiting on? Waiting on Wednesday is a weekly meme hosted by Breaking the Spine. We ♥ it!